"James Cagney , the terrier of the screen, is to be seen in another belligerent role. This film, which bears the title of Taxi!, affords the alert young actor heaps of opportunities for his slang and his short-arm jabs, Mr Cagney misses no chance to make his characterization tell, Loretta Young is sympathetic and able as sue." 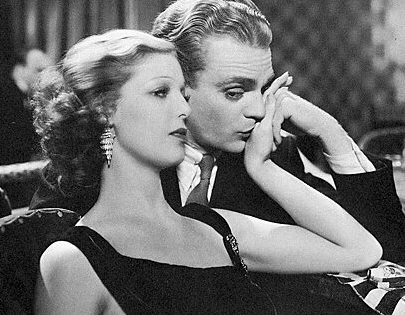 Taxi was the first time Cagney would dance on film, in a dance contest sequence paired with Loretta Young. It also features a young dancer from New York who was trying to break into the movie buisness at the time, his name George Raft. Cagney spoke Yiddish in the film, a language he learned in New York from his Jewish pals. 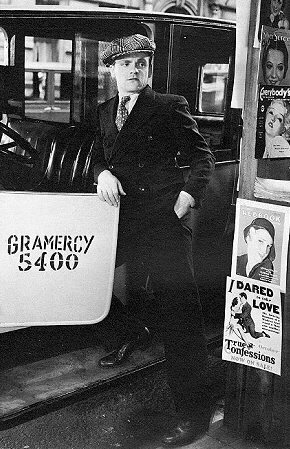 Taxi was a big success and would be re-released in 1936 along with Smart Money.